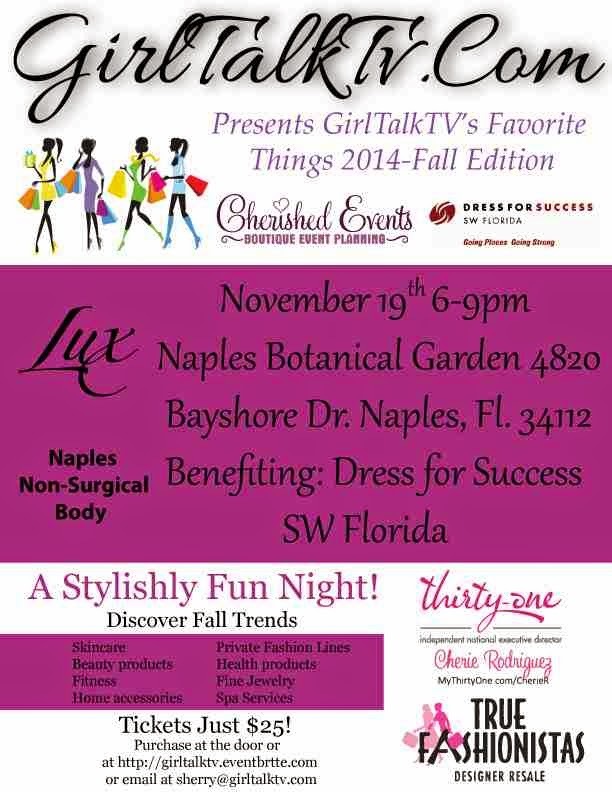 The fun thing about living in Naples, is there are so many great ladies events. Last year I was invited to Sherry Bryant's Fall Trunk Event and really wanted to attend but missed out. I soon became friends with her on Facebook and just recently we were able to collaborate. 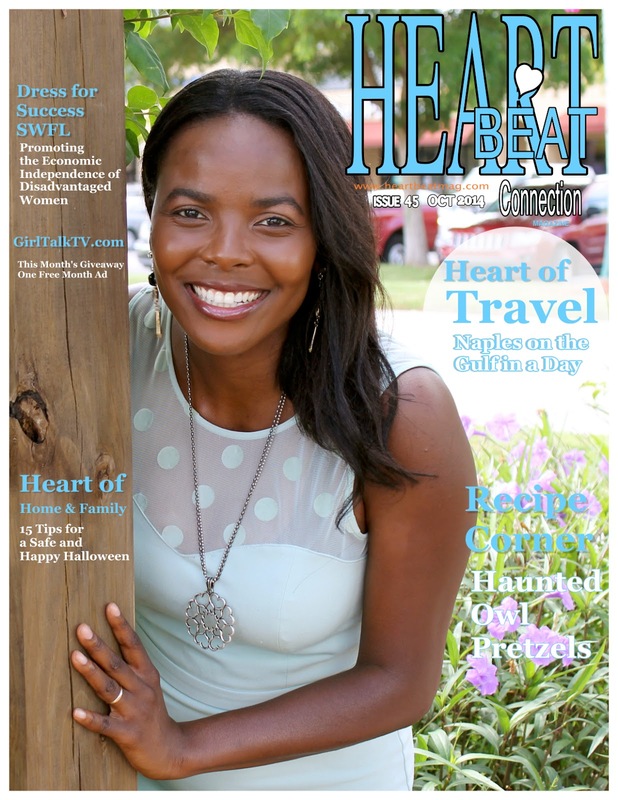 The Heartbeat Connection Magazine will be in each swag bag at her upcoming event for GirlTalkTV. This month's issue showcases Sherry on the cover. She sure is a beautiful cover girl! How did you get involved in your business? 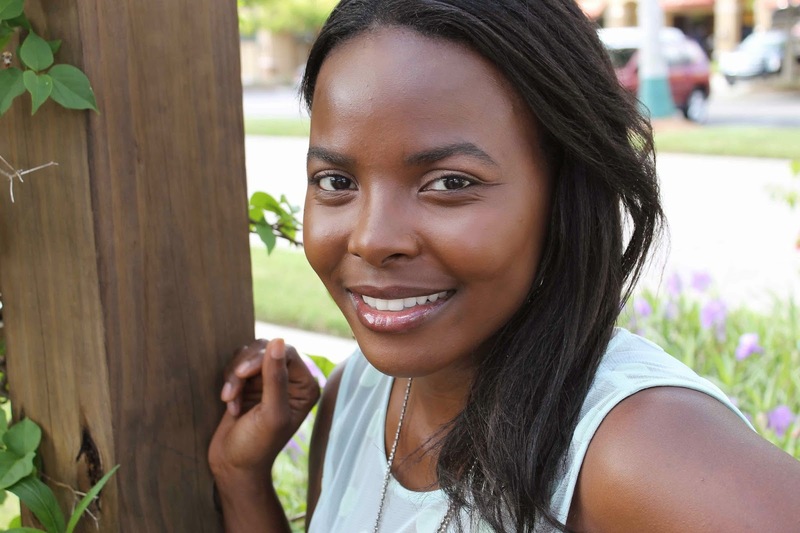 I began GirlTalkTV as a way to make connections with other women. I began with little knowledge and experience in multimedia industry and even less about running a business. 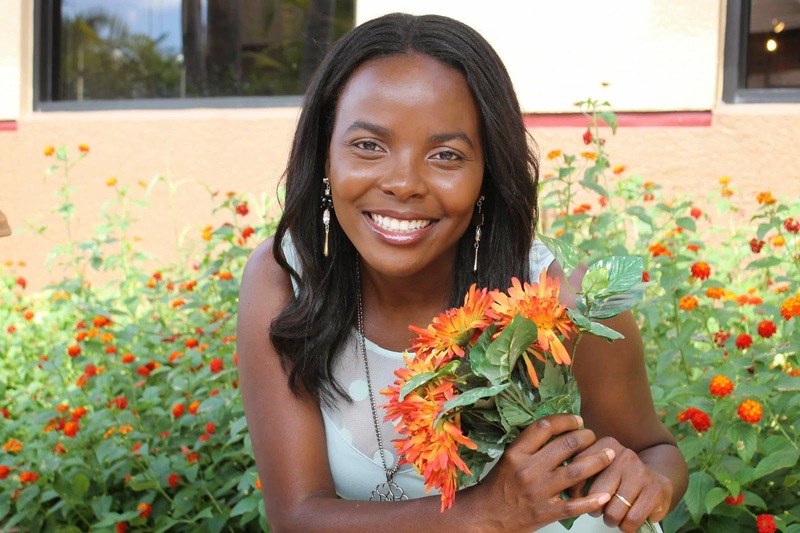 What I did have was a passion for helping other women, a desire to gain freedom from the typical 9-5 office setting, and a love of performing for an audience. What I enjoy most about GirlTalkTV is the connections that I get to make with women from all over the world. It's extremely gratifying when I hear from someone that their life has been positively affected by the work that I do. Of course, being able to bring a unique media coverage spin on local and national social events is a perk that I have come to enjoy quite a bit as well. GirlTalkTV specializes in all things women related. We provide fun tip driven advice and media coverage on topics such as fashion, health, style, relationships, and entertainment. Is there a heartfelt community cause you support?